Wooz.in was one of 20 startups selected to participate in this year’s Unilever Foundry Digital Disruption Masterclass. Unilever Foundry is basically their program on collaborating with innovators like startups, and most importantly, disrupt themselves in the process to transform Unilevers growth model, and they select startups with the most potential for partnerships or collaboration with their core businesses. The Digital Disruption Masterclass is an internal workshop created by Unilever for their top brass from the SEA region, to introduce, train and disrupt through thinking “digitally”, as Unilever is at its core a very traditional FMCG business. Wooz.in was asked to facilitate a brainstorming session with the Indonesian team to help them think through and approach problems as a startup would do, instead of how a large company would do. 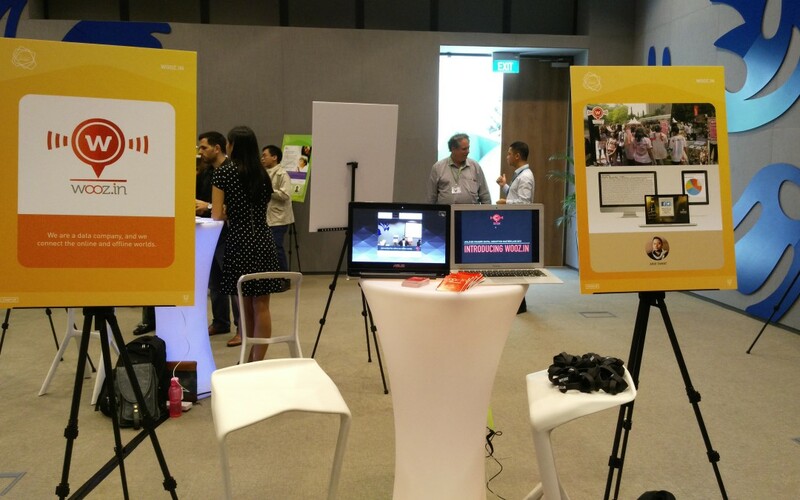 The continuing day, it was Wooz.in’s turn to do the sales pitches – all 20 startups opened booths to introduce their technology and business to an exclusive audience of Unilever top management. For the booth, we deployed a version of our Twitter photobooth, and gave out RFID wristbands as souvenirs. It was a great opportunity to talk to people we would have probably never met, and most importantly, we learned so much from their questions. Thanks Unilever for having us!